How Is Dating Different in the Senior Years? The senior years bring many changes that often lead older adults to consider getting back into the dating game. Whether a senior has lost a spouse or has experienced a divorce, seeking a new companion can prevent feelings of isolation. However, seniors often discover a few things have changed since they were last out in the dating field. Being aware of these differences helps seniors know what to expect when meeting someone new. When young people date, they are often preoccupied with finding someone who meets specific physical criteria such as being within a certain weight limit. Older adults prefer personality when it comes to finding a suitable partner. Everyone has a few gray hairs or wrinkles, which is perfectly fine. Dating can boost your elderly loved one’s emotional health, but it is not the only way he or she can enjoy a high quality of life. If your elderly loved one needs help maintaining a high quality of life while aging in place, reach out to Home Care Assistance, a trusted provider of Rhode Island in-home care. Services our caregivers provide include transportation to and from medical appointments and social events, nutritious meal preparation, assistance with daily exercise, and help with everyday tasks like bathing, grooming, and light housekeeping. Seniors today are enjoying healthy romantic lives, but they may not be as focused on finding someone to settle down with. Instead, seniors may seek out someone who makes the perfect dancing partner, or they may want to date someone who shares their love for hitting up new flea markets. Either way, seniors are free from the stress of finding someone to raise a family with, which opens new doors for finding potential matches. In the senior years, the pressure of being perfect is off since older adults have earned their confidence. While they may still dress up for a date or hold open the door, they don’t need to feel the same pressure to be perfect that they did as teens. Going out on a date with less nervousness involved creates a more casual atmosphere. When seniors last dated, potential matches may have been found through family, work, or even the newspaper classifieds. While these all worked perfectly fine in years past, online dating can open up a senior’s options for finding new partners. 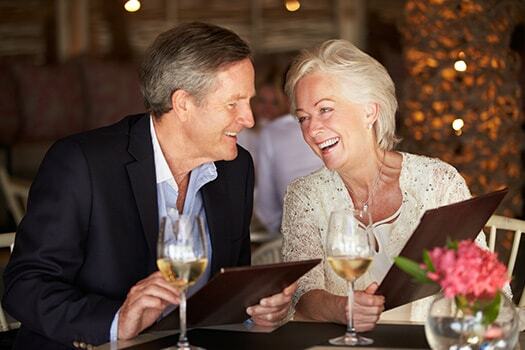 Seniors can choose from many dating sites designed for older adults. If you do not have the time to help your elderly loved one sign up for a dating website or manage other day-to-day activities, consider hiring a dedicated caregiver. Rhode Island respite care professionals can assist seniors with a wide array of daily tasks, offering family caregivers the chance to focus on other personal responsibilities or take a break to prevent burnout. Whether it’s for a few hours a day or a few days a week, respite care is the perfect solution for family caregivers who are feeling overwhelmed. In the past, planning a date might have been as easy as asking a partner out to a movie. Now, seniors may need to consider whether or not they or a potential date can handle a particular venue. For instance, seniors on special diets may need to plan dates at home where they can prepare a suitable meal. Alternatively, seniors who no longer drive may need to make transportation arrangements. While dating in the senior years may require a little extra planning, the effort is worth it. Consider hiring a professional caregiver to provide transportation for your elderly loved one when he or she goes on a date. When searching for reliable Rhode Island in-home care agencies, families want to know their senior loved one will be well taken care of. At Home Care Assistance, our expertly trained caregivers are available around the clock to assist with tasks around the house, provide transportation to medical appointments and social events, and much more. Call us at (401) 284-0979 to create a customized care plan for your elderly loved one.